At Weirton Medical Center, we know that patients heal better in the comfort of their own surroundings. 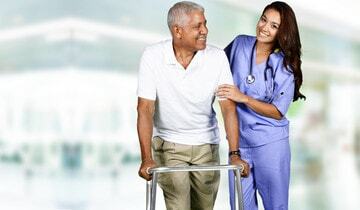 Our professional home health team has advanced medical training and skills to provide the specialized care you deserve. The award-winning WMC home health team offers comprehensive range of in-home health services. All patients must be referred by a physician and qualify for services based on insurance guidelines. Call (304) 797-6495 for more information. Office hours are 8 am to 4:30 pm, Monday through Friday. On-call services available on weekends. Offered by the WMC Home Health Department, the Home Draw program is available to anyone who needs to have blood drawn in the convenience of their home. Fee is $15 per visit. Credit cards accepted. Call (304) 797-6495 for more information.